(hla) Dr. Russell Blaylock, a neurosurgeon and author of “Excitotoxins: The Taste that Kills” says that MSG is an excitotoxin (overexcites the cells to the point of damage or death) that can lead to varying degrees of brain damage and may even trigger or worsen learning disabilities, Alzheimer’s disease, Parkinson’s disease, Lou Gehrig’s disease and more. He also says that numerous glutamate receptors have been found both within the heart's electrical conduction system and the heart muscle itself. MSG can be damaging to the heart and may even explain the sudden deaths sometimes seen among young athletes. Monosodium Glutamate (MSG) also known by its various brand names- Ac'cent, Aji-No-Moto, and Ve-Tsin is a chemical compound that is used as a flavour enhancer especially in Asian cuisine. It can be found in processed meats, canned vegetables and soups etc. MSG is so common that we may be consuming it without our knowledge but to what extent can this chemical compound damage our body? This is what the article aims to clarify. MSG is made up of approximately 78 percent free glutamic acid, 21 percent sodium, and up to 1 percent contaminants. The compound was introduced about 100 years ago and quite a number of people have reported a range of symptoms that have been termed as the “Chinese Restaurant Syndrome’’ or ‘’MSG Symptom Complex’’. Studies from the 1970s suggested that 25 percent to 30 percent of American citizens were intolerant of MSG in food. Some experts have estimated that this figure has gone up to 40 percent today. Some of the possible reasons that have been postulated to be responsible for the sensitivity of some people to MSG include autism, Gilbert's Syndrome, use of alcohol, compromised liver, CoQ10 deficiency, epilepsy, fibromyalgia, hypoglycemia, magnesium deficiency, Parkinson’s disease, pre-existing allergies, Type I Diabetes, Vitamin B 6 deficiency, and Vitamin B12 deficiency. MSG Symptom Complex comprises of symptoms such as numbness, burning sensation, sweating, tingling, facial pressure or tightness, chest pain or difficulty breathing, headache, flushing, nausea, rapid heartbeat, drowsiness, and weakness. Regular consumption of MSG have also been linked to various adverse effects ranging from obesity, eye damage, headaches, fatigue and disorientation to depression. Readers will be surprised to know that glutamic acid, which is another form of MSG, is naturally found in products such as soya sauce, fermented bean paste, cheese and yeast extract! This is probably the reason why the resulting symptoms have been termed as the "Chinese Restaurant Syndrome" since these are some of the basic ingredients in Chinese cooking. It will be useful for readers to know that manufacturers may mask the ingredient on the list using another name. Hidden names can include (but not limited to) autolysed yeast, calcium caseinate, Calcium glutamate (E623), gelatin, glutamate (E620), glutamic acid (E620), hydrolyzed protein, monopotassium glutamate (E622), Monoammonium glutamate (E624), Magnesium glutamate (E625), Sodium glutamate (E621), sodium caseinate, textured protein, yeast extract, yeast food and yeast nutrient! It is best to stay away from any food items containing the ingredients listed in the above if one knows for sure that one is allergic to MSG. There are also food items that contain free glutamate that is formed when proteins are broken down. 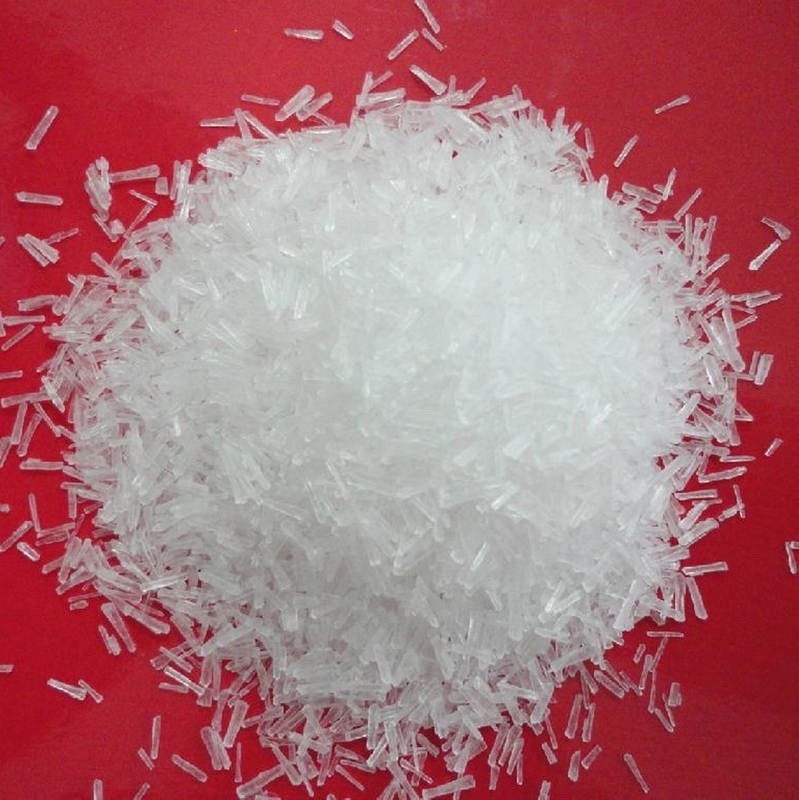 Free glutamate can combine with free sodium that results in MSG. Food items that contain naturally occuring free glutamate are not required to be labeled. It would therefore be useful for readers to know that the list includes (but not limited to) tomatoes and tomatoes, grapes, fruit juices, potatoes, peas, cheese (Parmesan and Rocquefort), mushrooms etc. Perhaps readers who are intolerant to MSG would want to watch out for any reaction the next time s/he attempts to consume these items. In certain foods, glutamic acid is formed during processing and there is no way to know that these food contain glutamic acid from mere label! Why? The food industry knows very well that consumers these days are aware of the effects of MSG and would do their best to avoid any food item containing MSG! So, they would be better off labeling the content with another name! However, a rose by any other name is still a rose. Similarly, arsenic by any other name is still arsenic! The Food and Drug Administration (FDA) still holds that MSG is safe to be consumed despite the fact that they themselves have admitted that MSG Symptom Complex can take place in asthmatics and those whom have ingested large amounts of MSG. More unbiased scientific researches need to be carried out to investigate the various effects of MSG. There are even dozens of pharmaceutical drugs that have been suggested to interfere with MSG intake. These claims and many others ought to be researched without any commercial biasness instead of unscientifically brushing them off as "without evidences" for the health of atleast those special groups of people whom are sensitive to MSG. Why ingest MSG when the body is producing the various symptoms to tell us that it is not a good thing for the human body? Are the signs and symptoms of the human body not a better body than the FDA to determine if a certain ingredient or food item is suitable to be ingested or not? It's a very good article! Never knew too much about msg until I read this.